Our Teardrop Flag Spiral Ground Mount is a powder coated metal spiral spike which is recommended for ground mounting of our 9' Teardrop Flag kits. 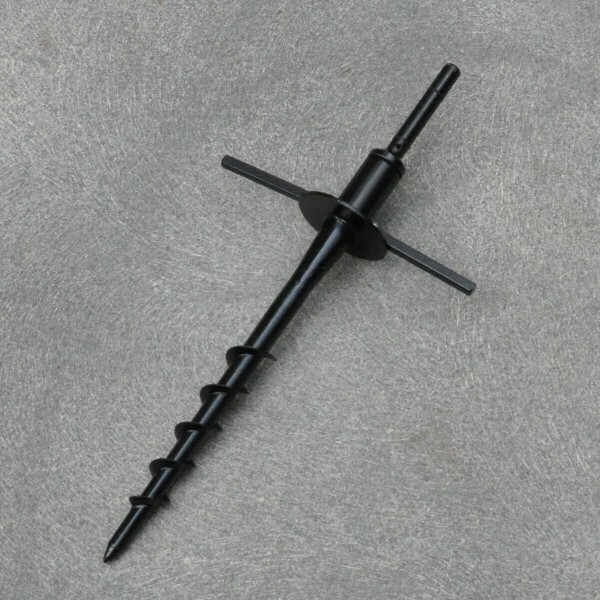 The spiral spike has a total length of 22 inches with a ground screw length of 14 inches. The solid metal spinning riser is 5" tall and has an outside diameter of 5/8". 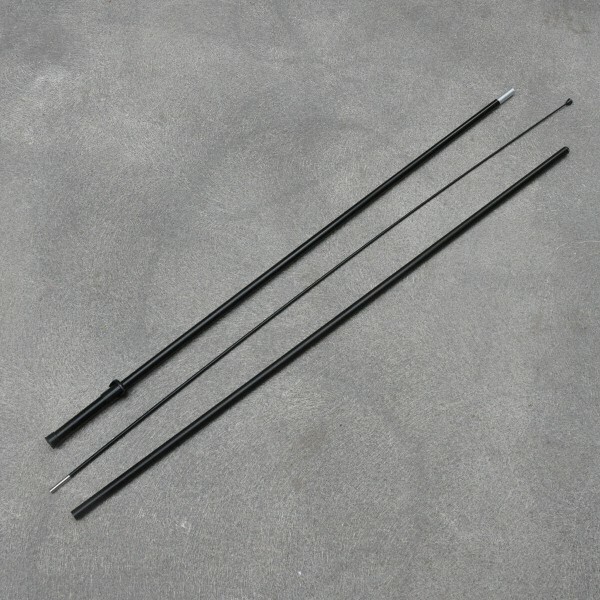 In addition, the spiral spike provides 2 folding handles to help firmly screw this spike into the ground and the riser spins to allow your Teardrop Flag to freely shift with the wind direction. There is not a need for a hammer or any tools! This Teardrop Flag Spiral Ground Mount is a recommended accessory for our 9' Teardrop Flag Kits.